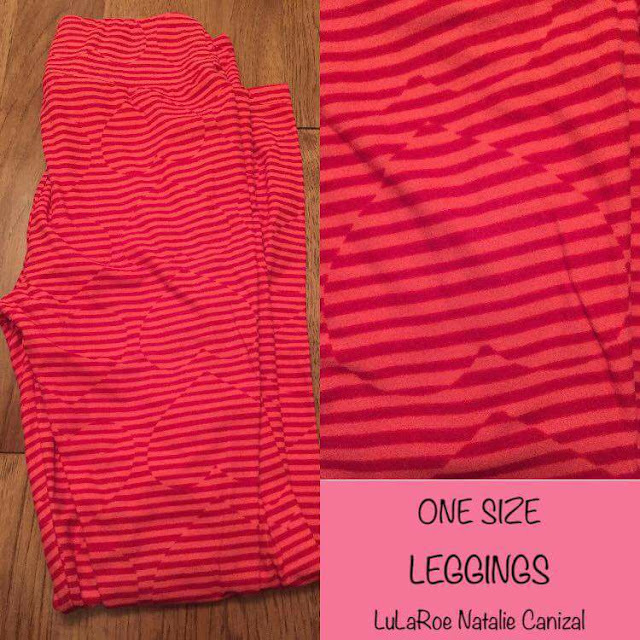 *Disclaimer - I purchased the Valentine's Day leggings being featured in this post, but am doing a review of them for the consultant Natalie Canizal I bought them from. Are you looking for a cute pair of Valentine's Day leggings in OS? I bought our 8 year old daughter a pair of these exact leggings from someone else but I had been looking and looking and looking for the SAME exact pair in OS for me, so we could match! I posted in a group on Facebook looking for the exact pair she had, and Natalie replied quickly with a picture of the ones she had that she thought I was looking for! And, she was RIGHT! I immediately asked her to invoice me and I paid it and received it in a timely fashion. These leggings are SO soft. These are so comfortable to wear! They will fit better on my stomach once our little girl gets here, likely in mid March! I am in love with these leggings and more so the print! I just love how they're red stripes with hidden hearts. And, the fun part is that we MATCH for Valentine's Day. These leggings were only $25 + $3 for shipping! Well worth every penny. 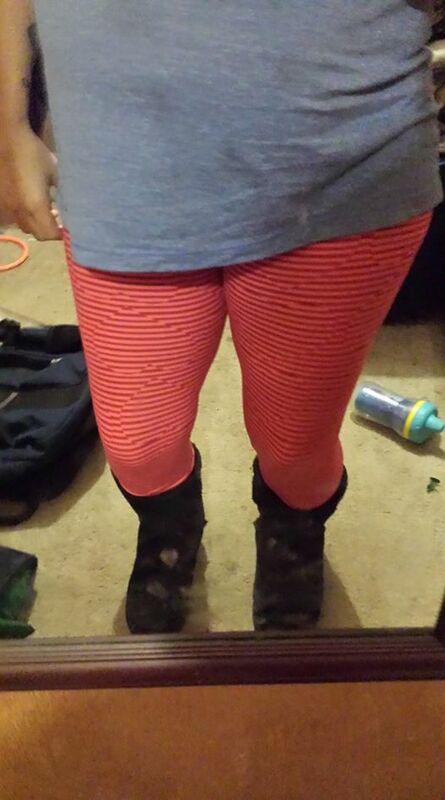 I like the color and heart print for those leggings. I would love to see what other colors are available and checking it out. Those are super cute on you!! The hearts are super cute! The color would not look cute on me but they look great on you! Whoa! I didn't even notice the hearts at first. I love them! I'm wearing my LuLaRoe leggings right now while I'm cozied up in my bed :) I love how soft they are! I could use a new pair or pairs of leggings. I love this one you featured here. The hidden hearts design is so unique. I keep seeing these leggings everywhere. I have to admit that I really like their patterns and that I love wearing leggings.